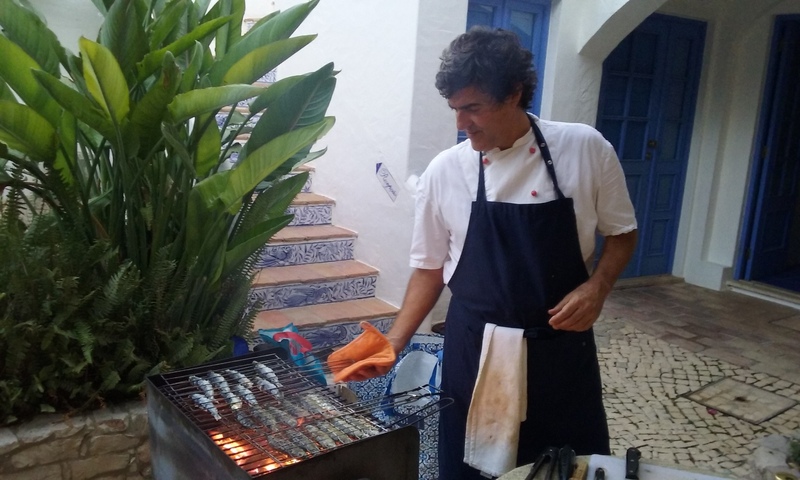 What a better opportunity to discover the secrets and taste some of the most iconic dishes of the traditional cuisine of the Algarve and have an unforgettable Portuguese dinner experiences. We will cook together “chouriço ao vinho tinto” which is a local chouriço stewed in red wine, delicious prawns in butter garlic and fresh chili, “Bacalhau com Broa" and “lombinho de porco com vinho do Porto” pork tenderloin in reduction of Porto wine. After your cook experience, you have the time to relax and, maybe have an aperitif, in the meantime we finish to prepare the rest of your dinner, setting the table and serving the dishes that you cooked and much more. We will provide the recipes to bring with you at home. 11 to 15 people: € 54 p.p. From children to grandparents, everybody loves burgers, right? 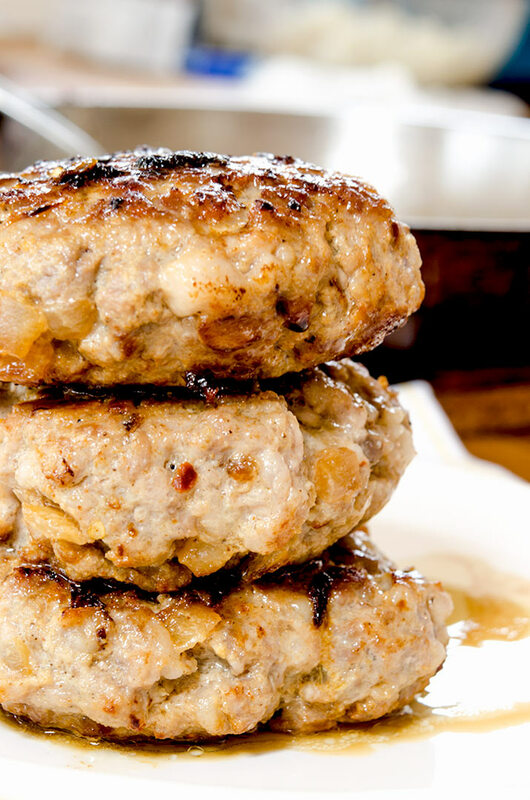 You will learn from our personal chef how to elevate a simple patty to gourmet burger. Salmon, lamb, pork, chicken and beef, each one with delicious garnishing and different sauces. Learn how to choose the ideal meat cut for burgers, to season each protein, how to prepare stunning sauces and garnishing and the most hidden chef secret: how to cook perfectly each type of burger keeping it moist, succulent and delicious! After your cooking experience, you have the time to relax, and maybe have an aperitif, in the meantime we finish cooking the rest of your dinner, setting the table and serving you the food that you cooked and much more. We will provide the recipes to bring with you at home. 11 to 15 people: € 49 p.p. 16 to 20 people: € 46 p.p. Become a master griller and surprise your friends and family! Priceless tips and secret on how to prepare incredibly tasting rub and overnight marinade, fish short marinade, set properly your charcoal or gas grill, the importance of the resting time and grill temperature, direct grill technique, temperature control and much more. 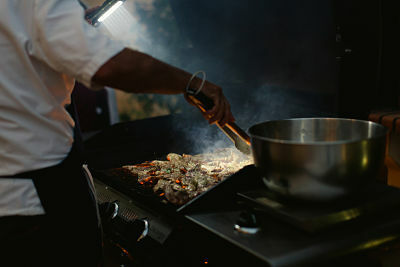 Under the directions of our chef you will learn how to marinate a chicken breast for a delicious chicken satay and an incredibly juicy chicken breast glazed with honey and lime juice, to make a quick homemade Hummus, the low & slow process to cook pork prime ribs malting in your mouth, the rub and some tips to cook your huge rib-eye perfectly, tasting and delicious. After your cooking experience, you have the time to relax, and maybe have an aperitif, in the meantime we finish cooking the rest of your dinner, setting the table and serving you the food that you cooked and much more. We will provide the recipes to bring with you. 11 to 15 people: € 52 p.p. 16 to 20 people: € 48 p.p.